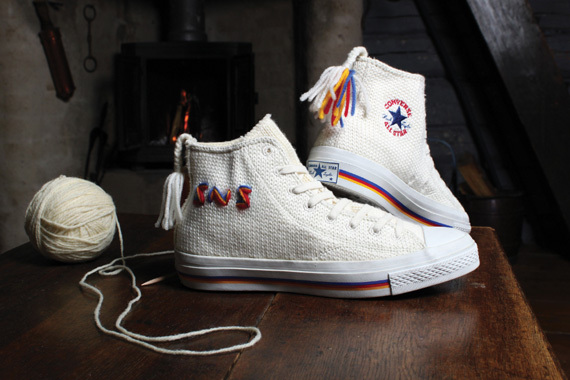 The Converse All-Star is an integral cog in the extraordinary history of athletic footwear and in this collaboration with Swedish retailer Sneakersnstuff, Converse is paying its own tribute to a centuries-old tradition. Lovikka, a northern village of Sweden, was notorious for its harsh cold and wind conditions but remarkable for its hard-working townspeople. A local villager named Erika Aittamaa knitted wool mittens to keep her family and fellow villagers warm in the unfriendly climate, and soon the growing popularity of the wool accessories became a growing business and trademark of the village that is still recognized today. 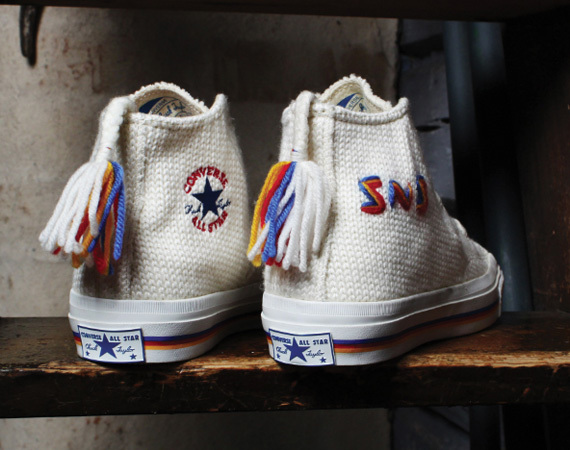 Converse, in a partnership with Sneakersnstuff, has created the ‘Lovikka’ All-Star, a wool-construction Converse All-Star taking after a mitten, with the ‘SNS’ logo stitched on the medial wall and multi-colored tassels at the heels. 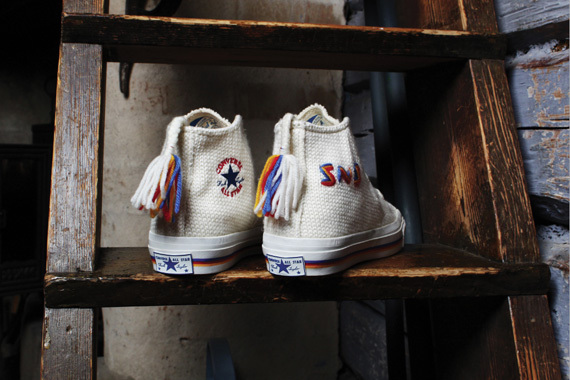 The Sneakersnstuff x Converse Lovikka All-Star will release on December 3rd exclusively at Converse First String accounts such as Bodega, Undefeated, Colette, Sneakersnstuff, and Hanon.